As the 2015 Australian Open comes to a close, I have failed my blog followers by being unable to deliver on an all Australian blog series. It was a lot harder then you think to find actual Australian beers. 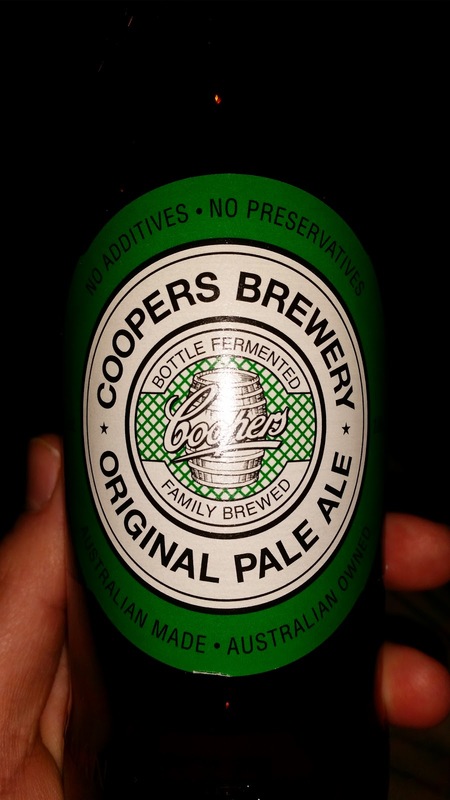 It seems that the only Australian brewery importing beers to America is Coopers Brewery. I work with what I have. Serena Williams wins her sixth Australian Open singles championship beating Maria Sharapova for her 19th Grand Slam title with a 6-3 7-6(6) victory Saturday night. Up next is the men's singles championship of Novak Djokovic(1) versus Andy Murray(6). These two players know each other very well, having played each other 24 times on the pro tour. Djokovic leads the series 15-8. A Murray victory tomorrow would be a huge upset to Djokovic and a great jump start for Andy Murray in 2015 Grand Slam series. Tomorrow will be a great day for sports. The Australian Open Men's Singles Championship in the morning and the Super Bowl in the evening. I don't feel so bad about the snow emergency that south east Michigan is under. Get cuddled up in your blankets, sit back, and crack a beer. It's time for a review. This Original Pale Ale has a hazy golden straw color with a small white head. The smell has light floral tones with a malty sweetness. The taste seems a bit bitter for a pale ale. There is a lightly citrus taste too it, almost like an orange. The body is light with a little carbonation. Overall, I was not very impressed with this beer from Down Under. I am disappointed that Australian doesn't export a lot of their beers. I hope to try more beers from Australia in the future. I will not base my taste for Australian beer on this beer alone.